A new study led by a Fairbanks-based scientist suggests global climate projections have been drastically underestimating carbon emissions from permafrost. Such projections had previously shown the Arctic absorbing as much or more carbon than it emits, thanks to enhanced plant growth that comes, in part, from warmer temperatures. 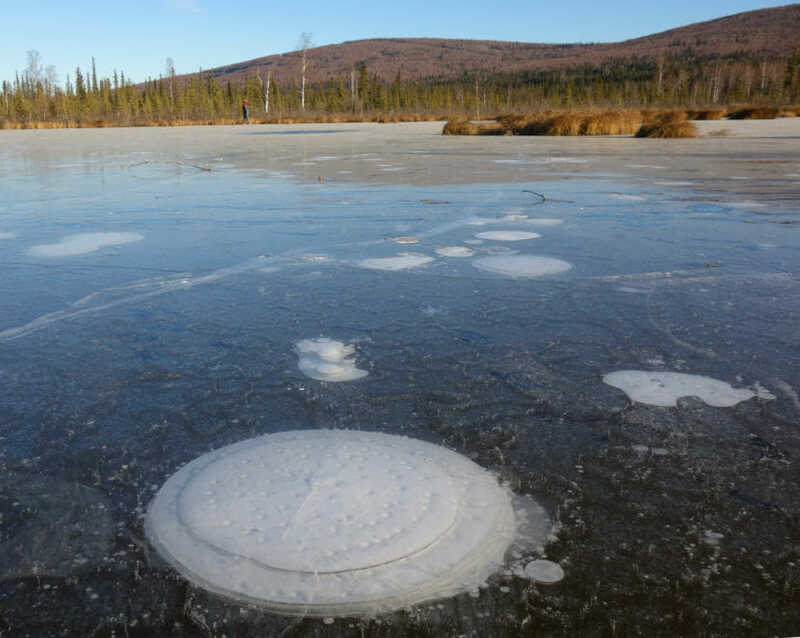 But the new study found that permafrost emissions could more than double once models start accounting for methane that bubbles up from thermokarst lakes, a special type of lake that forms in permafrost. 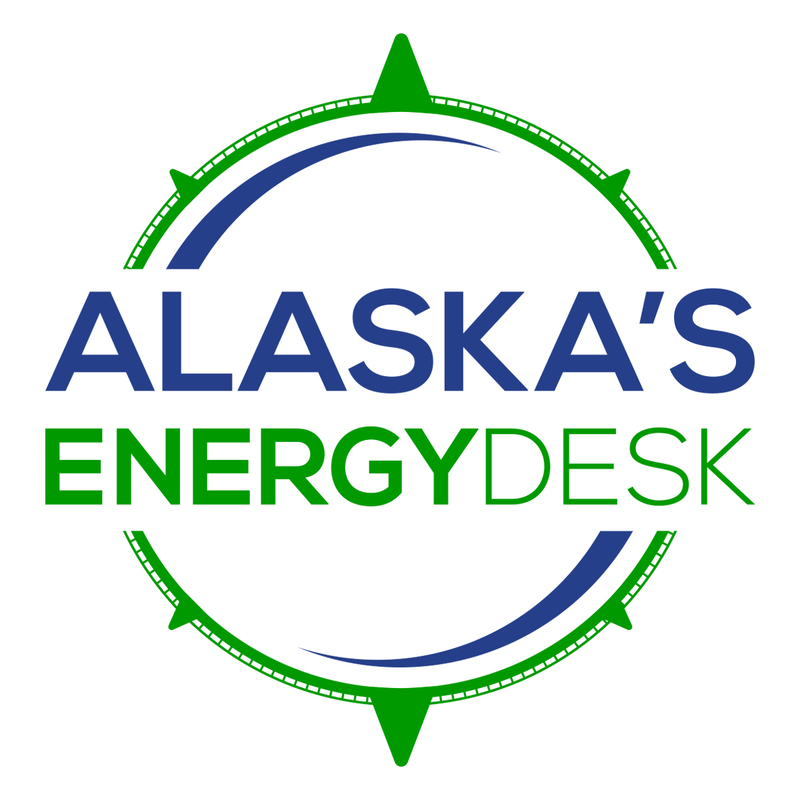 “If we take into account these lakes, we realize, ‘Oh, we actually have a pretty significant source of permafrost carbon this century,’” Katey Walter Anthony, the lead author and associate professor at University of Alaska Fairbanks, said in a phone interview. Other scientists said the study, published in the journal Nature Communications, underscores the limitations and uncertainties of climate modeling – and how policymakers might need to take more aggressive steps if they want to keep global temperatures under control. While such global models currently describe permafrost as an insignificant source of carbon, Walter Anthony’s study said permafrost emissions could rival those from land use change like forest-clearing and burning – the second-largest human source of emissions, after fossil fuels. Scientists have long known that permafrost, the frozen ground beneath most of Alaska, holds huge amounts of carbon. One study estimated that there’s twice as much carbon in permafrost as there is in the air. If global warming helps thaw the permafrost and puts more of that carbon into the air, it could warm the earth even more. But global climate models currently show permafrost thawing slowly, from the top down. And they also show increased plant growth, suggesting the plants are absorbing more carbon than is being released in the Arctic. Those models, however, don’t include the thermokarst lakes examined by the new study. Thermokarst lakes are formed when permafrost thaws and the ground sinks, forming a pool of water. The pool thaws more permafrost below and around it, in a process that happens much more quickly than the gradual, top-down thaw. Microbes then eat the thawed soil and release methane, a potent greenhouse gas. Accounting for thermokarst lakes boosts projections of permafrost emissions in the later part of this century by as much as 118 percent, according to the new study. Why haven’t thermokarst lakes been included in global climate models before? Scientists have known about them for a long time; Walter Anthony has been studying them for years, using helicopters to help map the permafrost near Fairbanks. But because lakes make up a very small fraction of the overall land area in the Arctic, they’ve been difficult to represent on a global scale, according to Walter Anthony. Her study calls for the broader climate models to start incorporating thermokarst lakes so that there’s a more “comprehensive projection” of permafrost-related carbon emissions this century. Model experts said that’s more likely to happen now that the scale of the emissions from lakes has been estimated. But it’s still likely to take several years before the projections of emissions from thermokarst lakes can be refined enough to include, they said. “We don’t have large-scale data sets of the distribution of how these lakes are changing throughout the Arctic,” Koven, the California scientist, said. Much of the scientific observation of the lakes has been in Alaska, while there’s also a lot of permafrost in Siberia, he added. Thermokarst lakes are not the only potential source of emissions that aren’t represented in climate models, experts said. There are all sorts of processes that could stabilize or destabilize the earth’s climate that aren’t included in existing versions. Insects or droughts could kill trees. Nutrients could flow through soil in unexpected ways. The Amazon rainforest could die off, or absorb more carbon.